Last week, the blog “Cuba Inside the World” posted a feature titled “Ex CIA double agent to RT: US AID is a front for U.S. intelligence.” However, upon reading the story, one learns that the “ex CIA agent” is none other than admitted Cuban state security agent, José Manuel Collera. So, what we actually have is a Cuban spy making false accusations against the US and using Moscow’s propagandists to spread the story. How very ……unimaginative. A race was scheduled in Moscow between a U.S.-built Ford and a Russian-built Lada. Predictably, the Ford won. The next day, “Pravda” – the official newspaper of the (then) Soviet Communist Party – proudly reported that the Lada came in second place and the Ford finished next-to-last. A man who threw a party for a friend in a punk-rock band that has been critical of Fidel Castro says that he has been the target of a ‘psychological’ campaign of intimidation. Oscar Casanella, a 35-year old cancer researcher in Havana, says he just wanted to have a party for Ciro Díaz, a close friend who plays in a punk-rock band. So Casanella’s party turned into an example of how Cuba’s communist system tries to grind down the citizens it finds objectionable, starting out with low-level threats and ratcheting up the pressure if the targets refuse to change their behavior. Cuban police and State Security agents can beat dissidents, arrest them for brief periods to harass or intimidate them, search their homes, seize their phones and computers, listen in on their conversations, and throw them out of school. “But they also have psychological pressures, like anonymous phone calls in the middle of the night, a car that comes too close, an agent who stands there just to make sure you know he’s watching you,” dissident Guillermo Fariñas told a Miami audience last year. Casanella said Díaz, a friend since high school, called him at the end of a trip to Europe to say that he was returning to Havana on Dec. 6, 2013, a Friday. Casanella promised him a welcome-back party at his own home that Saturday. “That’s where the Kafka-esque machinery started,” wrote Lilian Ruiz, who first reported the case July 4 on Cubanet, a Miami-based portal for news on Cuba. On the Thursday before the party, four elderly men and women he did not know approached him as he left his home in the Plaza neighborhood of Havana and threatened him, Casanella told el Nuevo Herald on Thursday. “They said, ‘You cannot have any activities or parties these days,’ that other people could harm me, and they also could harm me,” he said. He asked what right they had to threaten him, but they refused to identify themselves and walked away. Casanella said he presumed the four knew about the party from State Security monitors of Diaz’s telephone calls or perhaps his own. He has attended meetings of the dissident group Estado de SATS but said he does not consider himself to be a dissident. 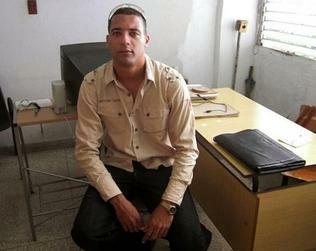 Lawyer Ernesto Vera said his main task was to attack and sow discord within two key Cuban opposition groups on the island. A Cuban lawyer has confessed that he was a State Security collaborator for the four years he spent portraying himself as a dissident and harshly attacking two of the country’s most active opposition groups. Ernesto Vera, 34, had been accused of being a collaborator last year, but his confession cast a rare spotlight on how State Security agents recruit informants and pay them thousands of dollars to discredit dissidents and generate rivalries among them. Vera also pointed a finger at five other Cubans who in his view have been suspiciously critical of the Cuban Patriotic Union (UNPACU) and the Ladies in White, the largest and most aggressive dissident groups on the communist-ruled island. “My mission within State Security was to disparage and discredit UNPACU, especially its leader, José Daniel Ferrer, and the Ladies in White,” Vera told el Nuevo Herald by phone Wednesday from his home in the eastern city of Santiago De Cuba. 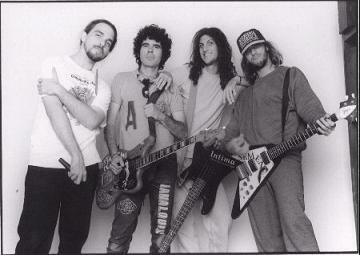 The two men shook hands at the end of the video. State Security began the slow work of recruiting him as “Agent Jorge” after he was fired as a law professor at a medical school in Santiago, he said. Until then, he had been only on the periphery of dissident groups. People who identified themselves as dissidents arranged to meet him in public places. But they were State Security agents and their meetings were videotaped — recordings then used to blackmail him into becoming an informant in 2010, Vera said. They also threatened to kill his mother and make it look like an accident unless he cooperated. “I am ashamed to say I was a coward,” he told el Nuevo Herald, confirming that he had recorded the talk with Ferrer and written a three-page confession dated July 5 and published Tuesday by UNPACU. The lawyer said he falsely accused Ferrer of stealing money sent by supporters abroad and abusing his wife. He and another infiltrator also sparked the biggest schism within the Ladies in White, causing about 30 members in Santiago to break with the main group. Vera said he wrote the attacks with information and photos provided by State Security Col. Ernesto Samper. He was paid several thousand dollars over four years so he could send his columns abroad via the Internet, which costs $6 to $10 per hour in Cuba. 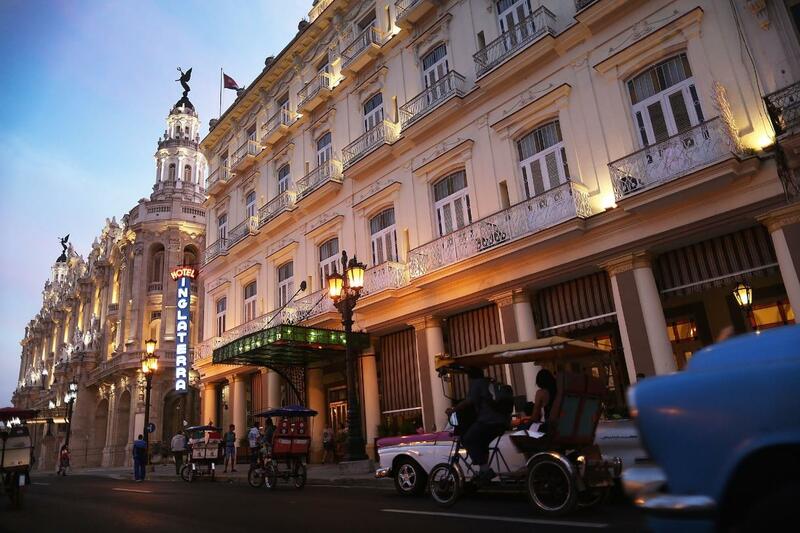 HAVANA TIMES – After participating in the congress of the Association of Latin American Studies in Chicago, I returned home to Cuba this past June 20th, following a one-month stay in the United States. 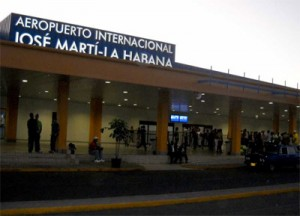 I arrived at terminal 2 of Havana’s Jose Marti International Airport to be received by Cuban State Security agents. Customs officers then proceeded to take away my cell phone and other belongings. I was detained at the airport for three hours and all of my personal belongings were meticulously inspected. The officials were chiefly interested in all of the documents I carried with me and all electronic devices that could store information. As such, in addition to my phone (which stored all of my personal contacts and private notes), two external hard disks and their cables, two cell phones I had brought my nephew and my boyfriend as gifts and an SD memory with family videos were confiscated, even though the authorities didn’t know what their contents were and didn’t even take the trouble of asking. All of these devices were classified as items for personal use by the customs authorities themselves – the number of items didn’t exceed the limit established by Resolution 320 / 2011, which establishes what imports are of a commercial nature, nor did their respective prices surpass the limits established in the Value List published under Resolution 312 / 2011. 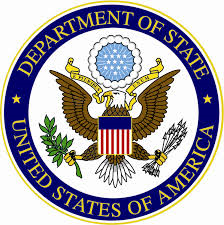 It is therefore quite evident that these confiscations are the result of the arbitrariness and excessive monitoring that all Cubans with free-thinking postures that are critical of the country’s socio-political reality are subjected to. The fact that Lt. Colonel Omar, a well-known State Security officer, came in and out of the premises, reveals that the reasons behind this incident are clearly political. I was given absolutely no explanation as to why my belongings were being confiscated. I was only referred to the customs resolution that empowers these officials to retain what they see fit. The contents and scope of the said resolution were not explained to me either. – Historian Frank Fernandez’ classic El anarquismo en Cuba (“Anarchism in Cuba”), a book the author had sent to the Cuban Anthropology Institute (as the dedication he had handwritten attested to). Fernandez had learned that a group was studying the issue at the institute and he wanted to contribute to the work with his research on Cuba’s workers’ and anarcho-syndicalist movements. (CNN) Patrick Oppmann speaks to a member of the Cuban state security apparatus about secret US communications programs on the island. In a feature worthy of Granma or Russia’s Pravda, the AFP reported that Cuban dissidents now travel freely, but their on-island influence has diminished. Curiously, the AFP conceded that Cuba’s apartheid regime censors dissident messages, but failed to report that foreign travel is allowed only when approved by Havana’s pervasive security and intelligence services. Likewise, it omitted State Security’s long-term, repressive targeting of the internationally-known Ladies in White and less famous protesters. 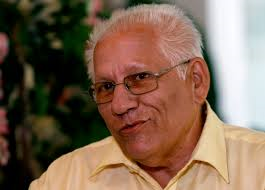 The piece then quoted “former” Cuban spy Arturo Lopez-Levy as saying dissidents do not provide “viable alternatives to the country’s main problems.” In reality, Lopez-Levy is a self-professed “former” Intelligence Officer in Havana’s dreaded Ministry of the Interior (MININT). He is also a relative of MININT Col. Luis Alberto Rodriguez Lopez-Callejas, Raul Castro’s son-in-law and head of GAESA, the regime’s business monopoly. Now living comfortably in Colorado, Lopez-Levy (aka Lopez-Callejas) is in his eighth year as a doctoral student in Denver. A Cuban pastor who has been harshly critical of the government says he was denied permission to travel abroad last month for a religious gathering even though his passport and visa were all in order. Bernardo de Quesada Salomón said he was checking in at the Havana airport Nov. 27 for a flight to the Dominican Republic when immigration officials told him his computer records showed he had a “limitation” and could not leave the island. Authorities never told him the reasons for the block, de Quesada said, but State Security officials in his hometown of Camagüey told neighbors that it was because he had illegally added a bathroom to a house he was turning into a church. Cuba’s government lifted a widely hated requirement for an exit permit on Jan. 14, but retained the power to block any travel abroad for a blanket “national interest” that has never been detailed. Others blocked from traveling abroad have included another pastor in de Quesada’s Apostolic Movement Fire and Dynamics, Mario May Medina, and a dozen former political prisoners paroled before completing their long sentences. De Quesada, 48, an Evangelical pastor, said he was arrested, harassed and blocked from traveling abroad several times from 2003 to this year because of his work with the Apostolic Movement Fire and Dynamics and the New Apostolic Reform in Cuba. He is not a dissident, he said, but his efforts to “preach the biblical truth have put me against this communist government,” he told El Nuevo Herald on Thursday in a phone interview from Camagüey. De Quesada said he made two trips abroad this year, the last one in October, but apparently angered State Security officials in Camagüey when scores of his supporters greeted him at the city’s airport on this last return.